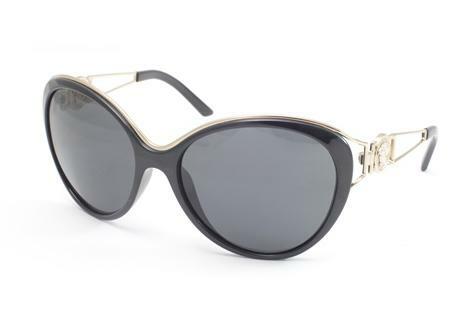 Ladies and boys who like to wear accessories made for girls, I'm feeling generous this week and giving away this fabulous pair of Versace sunglasses valued at R2350 from my beloved Sunglass Hut. Please note this is not a campaign by them via me, it is all purely my own concoction. So I've been thinking about how exactly will I conduct this giveaway, what does one have to do to win this and I settled on a little game of Versace Trivia. The first person to answer these 10 questions correctly by 12.00 midday today will win themselves this pair of Sunglasses. Now I know you can just use the internet to get the answers but try not to. See how much you can guess on your own. I know you can't find the answer to the last question on the net! Good luck! Leave your answers in the comments section. Yaaaaay. 2. Who took over from Gianni Versace after he died? 3. Who else owns a large share of the company as per Versace’s will? 4. How many boutiques that Versace have in the world? 5. Which very famous American rapper was known to love wearing the label? 6. Which actress immortalized her status in 2000 by wearing a Versace dress there after called ‘’The Dress’’. 7. Name two of the 4 famous legendary models that Versace used in their runway shows and campaigns in the 90’s. 8. What is the name of Versace’s diffusion label? 9. Name one American celebrity that has been the face of Versace in the past 10 years. 10. Either than her bleach blond hair, what else is Donnatella Versace infamous for? I'm gonna give it a bash..
8. ? *I've given up*..
10. Her Anorexic figure? Her Breasts.. the plastic surgery! 6. Liz Hurley's safety pin dress was iconic, but dont know when that was. JLo's see through dress was iconic too. *sits this one out* go designer lovers go! I'm rooting for you all. PS: this is a cool giveaway!